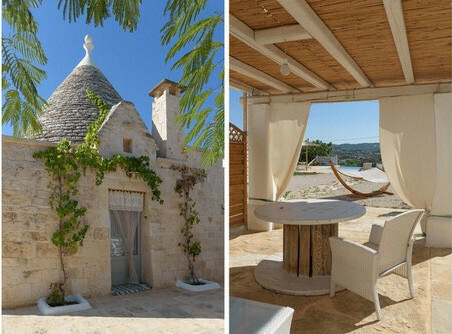 Looking to find your dream home in Puglia and live there? It could be easier than you think. Trulli – historic rural shelter with conical roof, generally quite small starting from as little as 25 m² up to around a hundred if annexed to a more conventional structure. The buying price is also typically higher as you pay a premium for the heritage. The headroom can be a problem if you are quite a tall family! Lamie – country houses typically with vaulted ceiling and thick walls to protect from the summer heat. They are more consistent when it comes to size, normally between 90 and 130 m². Many of them are abandoned, which can be a great opportunity as they can be bought with a reasonable plot of land for around € 100,000. Masserie – historic farms clusters, are the biggest typology available and vary the most but typically start at € 150-220,000 buying price for around 200 m² if in need of substantial renovation, but they can go up to a few thousand square meters including internal courtyards, colonnades, cloisters, and chapels. That’s why the bigger ones are normally suited for hotels, the smaller ones can make a generous villa and the mid-sized a proper luxury property. Plots of land – present the biggest flexibility and the most suited choice for those in search of a house with the maximum amount of customization. If the plot is agricultural, as most of these tend to be, this means that for example two hectares will give you a quite a spacious home, with lots of bedrooms and generous living areas. 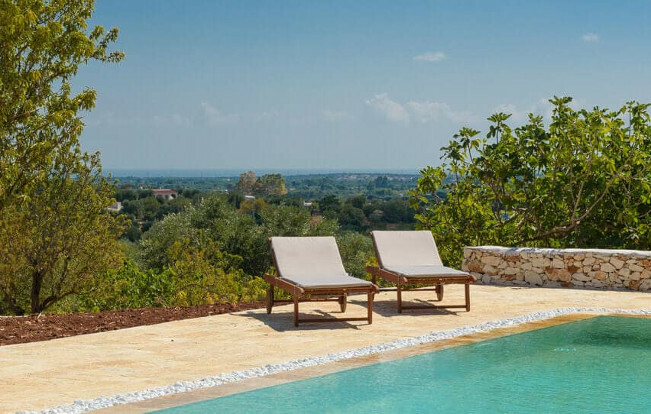 The buying price is normally between € 40 – 70,000 per hectare, depending on the quality of the trees on the site and the views that can be enjoyed from it. For newly built properties, you can consider around € 500 / m² for the concrete structure and then starting from a thousand per square meter for the walls and finishes, which can go up to 3 or 4k per square meter for a higher level of specs. Adding a swimming pool will cost typically around 40-50k Euros for a medium sized (40 m²) one, if not particularly deep, including machines. Renovation costs vary greatly in relation to the type of the property, the level of finishes desired and the starting condition of the place. • Trulli are typically those that present higher costs, as they are ancient structures with very thick walls, and if you decide on a project that will alter the layout which is generally the case, it is very difficult to know the conditions of the inside of the walls beforehand, and therefore to know construction times and costs. • Lamies and Masserias are similar in terms of renovation costs. For an entry level of finishes, if the property needs no structural work and you are happy with the layout in plan, construction cost starts normally at € 500 / m² including new kitchen and bathrooms, new doors and plaster throughout, new electrical, water systems and so forth. This price easily goes up to € 1,000 and 1,500 / m2 should you wish to make more radical interventions, like new internal and external openings, structural works, and if parts of the house need demolition and re-building as they might be unsafe. For a higher level of specs, that may include under floor heating, resin or natural stone doors, timber or steel frame windows as examples, the renovation price can double or triple depending on circumstances. ✋ These are just very indicative numbers. Every project is different and ultimately the price is given by the market when the tender drawings are submitted to contractors. We suggest you stay away from offer which are too low and not in line with the market, as these can sometimes result in bad surprises afterwards. Also these would be construction costs only, with VAT to be added on top as well as professional fees and contingency. We guess the good news is, VAT on the construction costs in Italy is only 10%! TIP! The “Piano Casa”, literally House Plan or House Act, is a very useful law that is available equally to local or non-Italian buyers. It allows home owners to extend their property by 20% (up to 300 cubic metres of extension, or around 100 m² roughly). Example: if you bought a 100 m² Lamia, it could become 120. Alternatively, it allows a 35% increase in size should you demolish and rebuild a house which is maybe derelict and where you are allowed to do so, as it happens for properties which are not subject to conservation laws or similar. This plan has been renewed on a regional level of planning year after year in Puglia, and it is now approved until the 31st of December of 2018 so one should act quickly and get the plans approved before that date, as no one knows if it will be approved for 2019 as well, or if this opportunity will cease to exist. They are quite similar to those of other cultures, such as in the UK for example. You’d normally start with a layout design, where the main design scope is defined and all the layout, plans and elevations defined and approved by the client. Then the planning process starts, which takes on average between 2 and 6 months on from the planning authority and the type of permission that is needed. 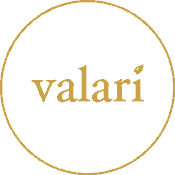 Once planning is approved, Valari proceed with developed design, where we establish all finishes, construction types and materials, and we send it out to tender to a few contractors. When the prices come back the client can fine-tune the tender returns, adding or removing a few items to adjust the budget to precisely what he/she wanted to spend. In a tender offer a contractor, again as in the UK for example, would commit to a timetable for the construction process as well as for the price, and a late fee can be charged in the same contract. This way, if the contractor is late, a daily amount can be discounted from the construction value, up to a total of 10% of the total construction cost. How can you handle the process while living abroad? At Valari we use a unique formula. Our Architect takes care of the design in close contact with the client, and explains the cultural differences to prevent misunderstandings. As he lives in the same city as the clients does, the meetings can happen in person without the need to fly in, with a positive outcome on the project finances – of course, the client can still visit the construction site whenever he deems appropriate, but he’s not required to do so anymore. Ultimately, having your Architect living in the same city as you does creates a better relationship altogether, boosting confidence and communications, all for the better of the project.